Are you planning the perfect private villa party, a magical Ibiza wedding, or a corporate conference with a difference? The Shop Ibiza can deliver your dream event from concept to completion. With more than 17 years´experience as the island´s pioneering event production agency, with clients throughout Europe and beyond, our positioning in the heart of Ibiza with a pool of contacts and suppliers means we can tailor a truly unique and inspired event without limits. Our expert team of technicians, designers, riggers, builders and managers are always up for the challenge, and will ensure that your experience surpasses all of your expectations. Whether you require lighting, video, special effects hire, a sound system, entertainers, stage design or a full-blown production service, our new creative department, headed up by technical artist Ruth Herbert, can help you set the stunning scene. 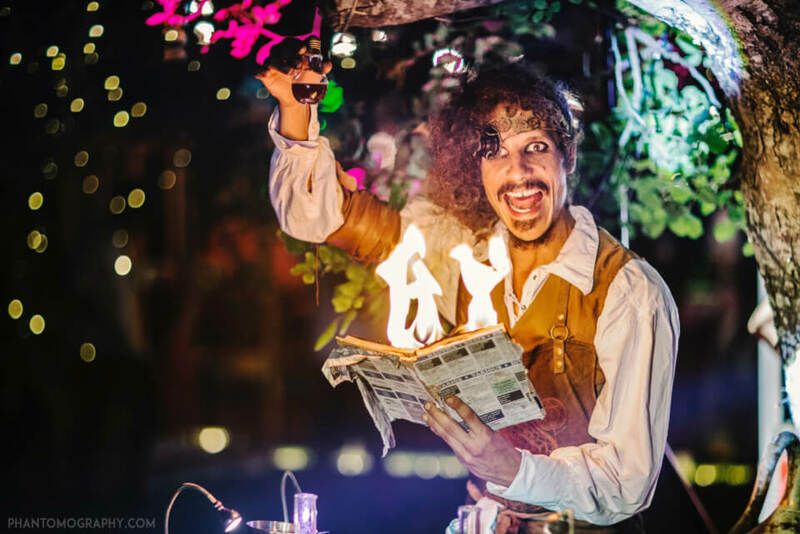 So if you´re constructing a jaw-dropping stage, dressing a marquee, or designing props for a party, we can bring all of your ideas to life, providing awe-inspiring escapism for your guests. This summer marked the tenth anniversary of the International Music Summit in May, of which we managed the entire production of the spectacular three-day event. We also produced a giant hairspray can and sofa for the hugely successful Candy World overlooking Es Vedra. We installed sound systems on super yachts, provided technical support to Resistance parties at Privilege, produced corporate events for Toyota, Smirnoff and Burn, and created beautiful weddings featured in Hello magazine, as well as many other themed events. 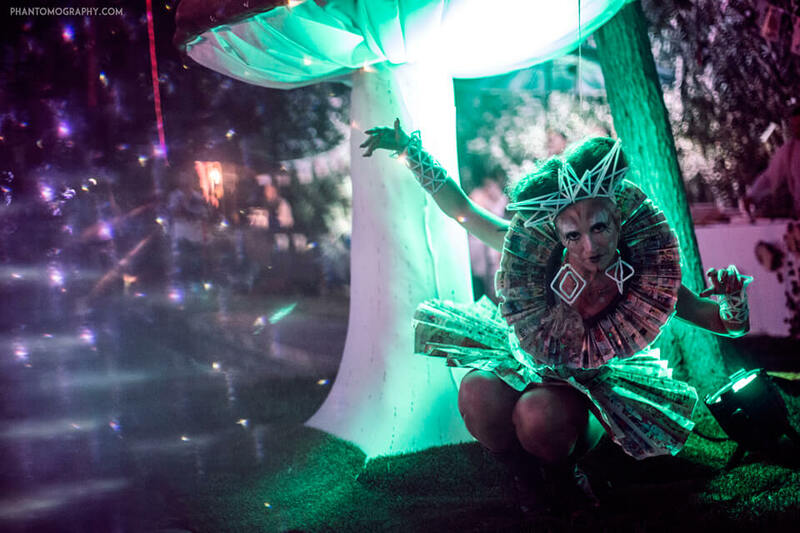 Now we are looking forward to one of the most anticipated and hedonistic nights on the Ibiza calendar: Halloween. With magic and mayhem, mash-ups and masquerades, fetish nights and all-round revelry, what better time to usher in the cooler climes of winter and embrace the year´s darker half? Straddling autumn and winter on October 31, Halloween´s ancient tradition originates from the Celtic festival Samhain, when Celts would light bonfires and don menacing costumes to ward off roaming spirits. Today many of these age-old rituals remain, while the global popularity of Halloween celebrations continues to grow exponentially. 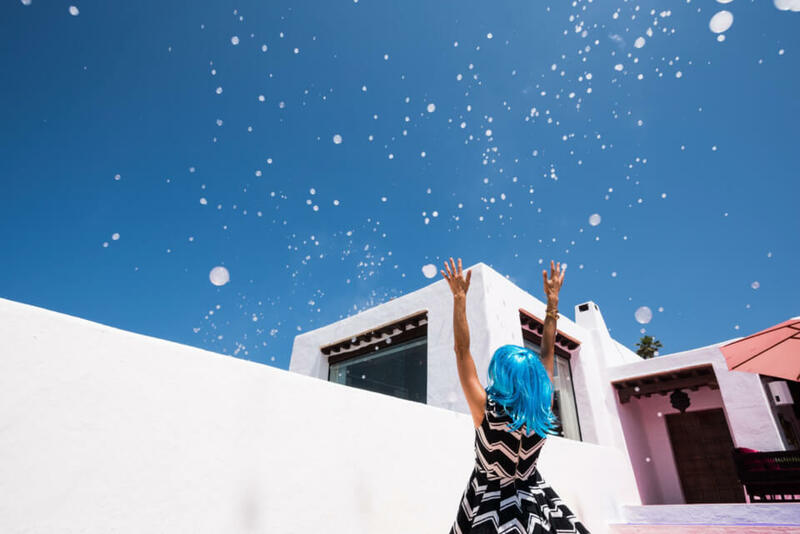 Nowhere more so than in Ibiza, where resident revellers flock to celebrate an end to the busy summer period and truly let their hair down. 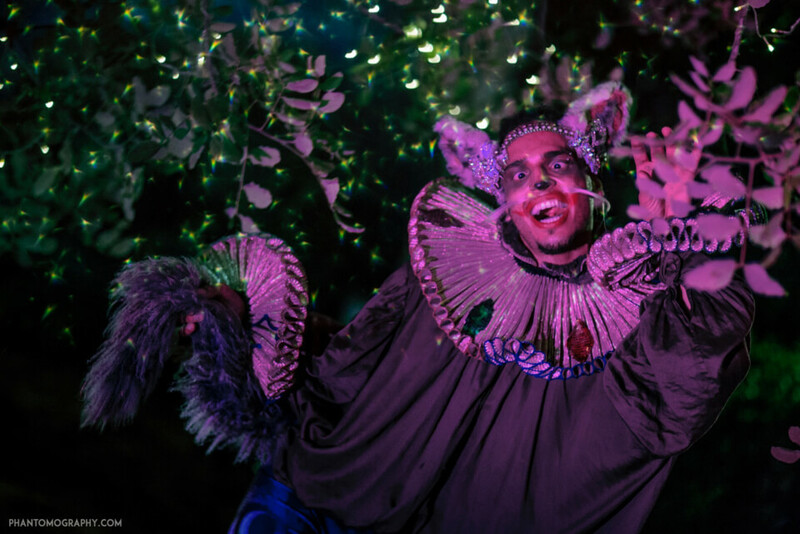 Whether you´re going full goth or little critter cute this Halloween, all things dark and ghoulish are well catered for on Ibiza´s party circuit. Over the years, the island has been bursting at the seams with spooktacular events to sink the fangs into, including Bambuddha´s now legendary Halloween party with mandatory fancy dress, The Haunted Hotel at Pikes, and the Monster Mash Morning Sessions at Boutique Hostal Salinas, also the stuff of legend. Babylon Beach Ibiza´s family friendly annual event has become quite the institution, providing witchy entertainment and activities enjoyed by mums, dads and little ghouls alike. At The Shop Ibiza we´re embracing the Halloween spirit with our unique brand of private event production in Ibiza. Whether it´s a full blown multi-sensory extravaganza or an intimate villa gathering, we can cater for a Halloween fiesta for any age, taste or budget. Our in-house creative team can help set the horror scene to ensure your spooky Halloween soirée is an absolute shocker. Still horrified at the thought of throwing your own Halloween bash? Don´t be afraid! 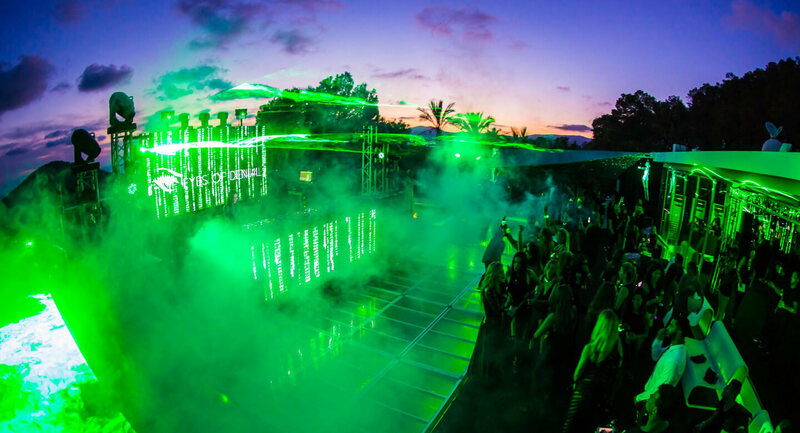 As experienced Ibiza party planners and the largest supplier of audio system hire in Ibiza, we can take care of every technical aspect of your event, small or large scale. All of our kit can be delivered, installed and dismantled by our team of qualified and professional technicians, right down to the finer details, whether you require pyrotechnics, LED displays, a disco ball, dry ice, festoon lights and lasers, or just some cobwebs and a couple of jack-o´-lanterns. 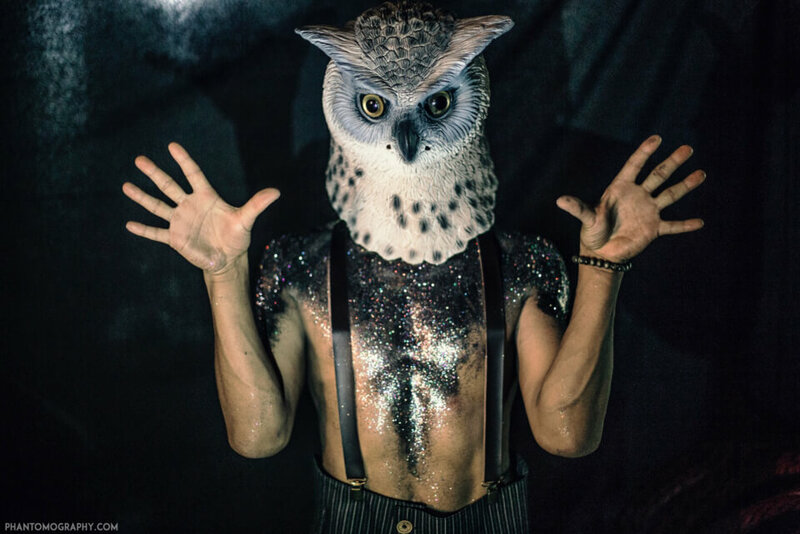 So channel your inner circus freak and let us help you tailor a truly unique and hair-raising Halloween party of fright and fantasy with our extensive range of party equipment for hire and full creative event production service. The only limit is your imagination, so here´s to a haunted Halloween of blood-curdling proportions.